More efficient legal operations through better complex information management. Discover everything that sets ZyLAB ONE apart from the competition in a single overview. 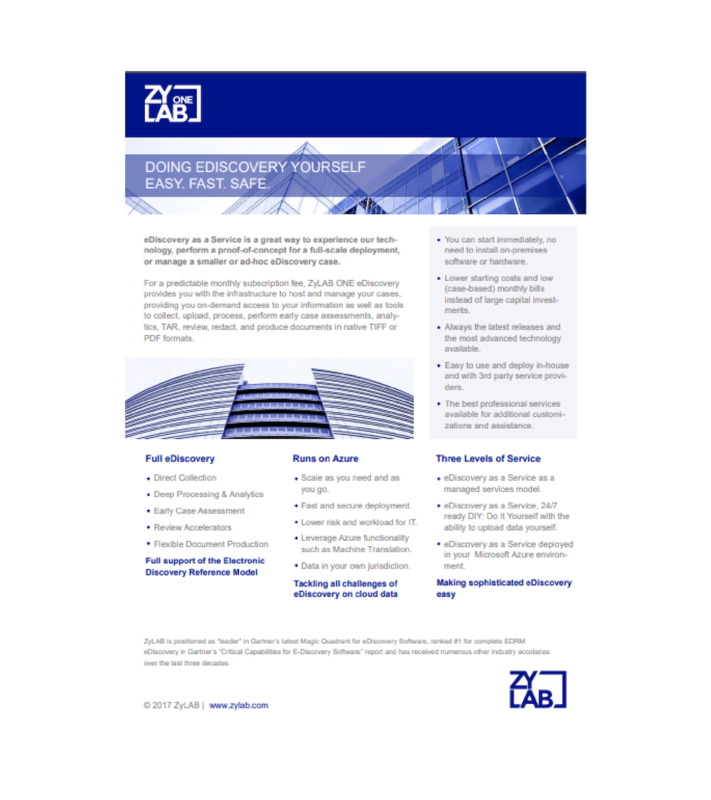 This datasheet provides need-to-know information about eDiscovery for law firms and corporations. 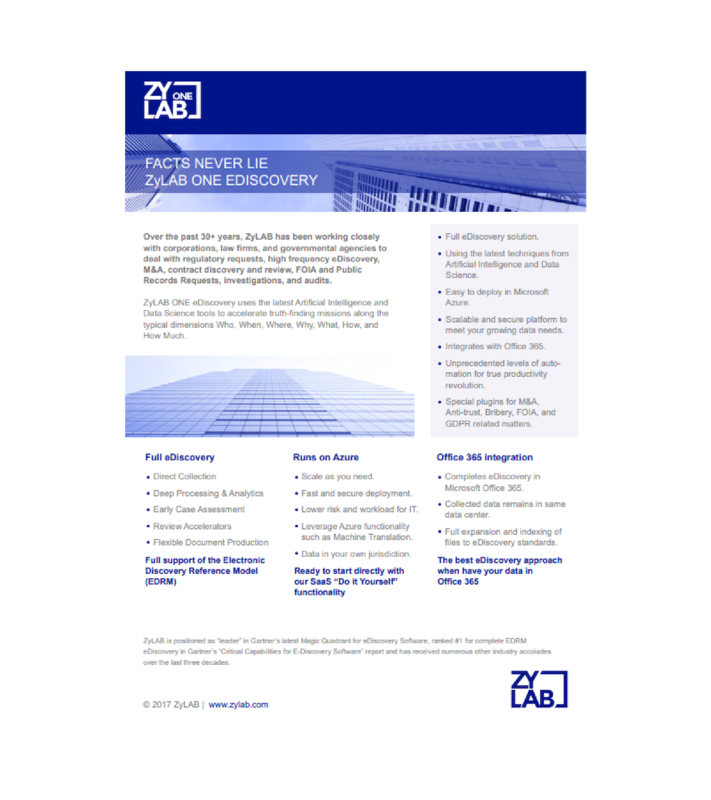 This datasheet provides insight about what eDiscovery can add to FOIA and PRR. See for yourself why Gartner named us the #1 end-to-end eDiscovery solution! 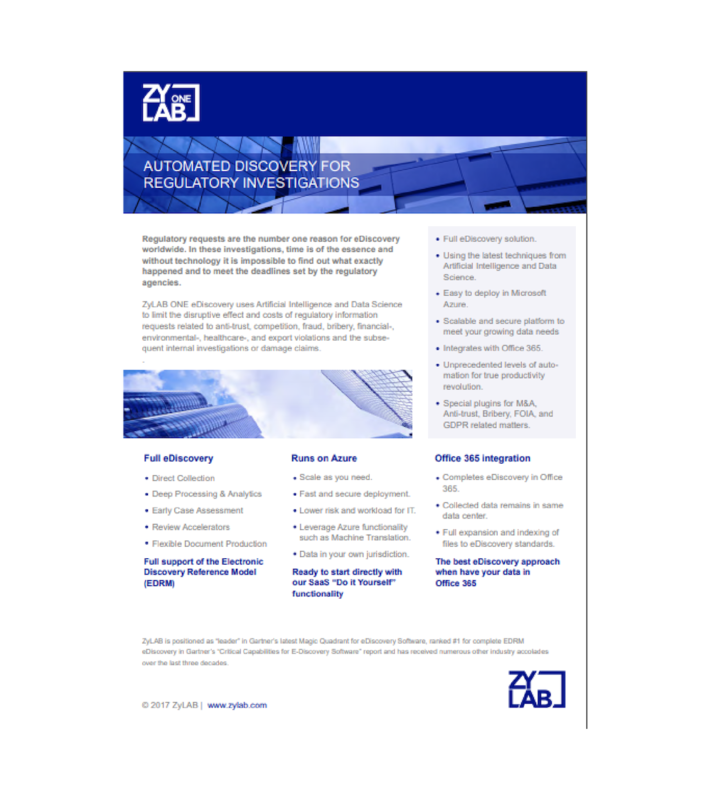 A datasheet that shows you how automated eDiscovery can help when it comes to mergers & acquisitions. How can eDiscovery be of service when the regulator comes knocking? This datasheet shows it all. With eDiscovery now being offered in Software-as-a-Service format, it's easier then ever to take control. ZyLAB ONE is the industry-leading #1 end-to-end eDiscovery solution that'll amaze you. A brief overview of what it can do.